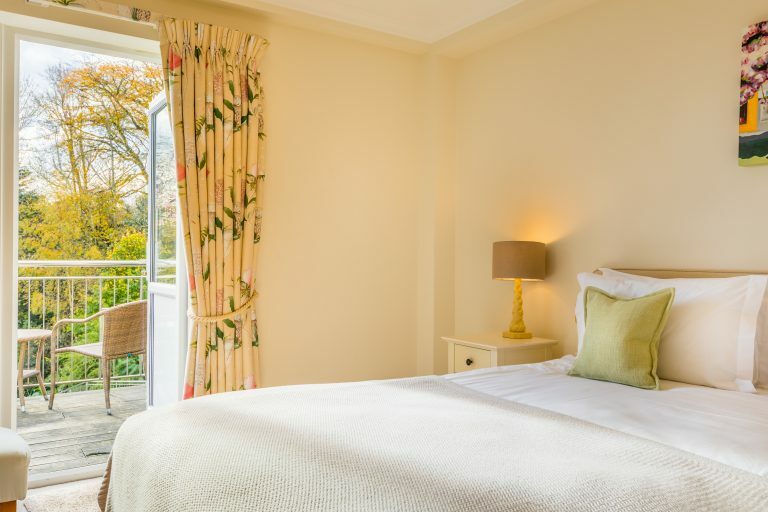 Located in the main hotel building and boasting wonderful views from the balcony over Guernsey’s beautiful Fermain Bay, Gold rooms are a treat to stay in. Located in the main hotel, the luxurious décor and unique charm of each of the Gold rooms ensure that guests relax and unwind. 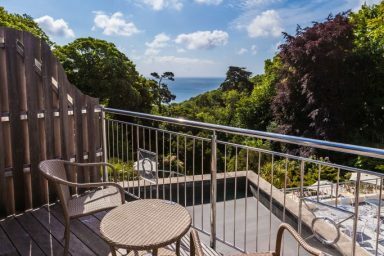 A balcony with beautiful views down towards Fermain Bay is the perfect place to enjoy a relaxed morning coffee or an evening glass of wine. The personal touches within the room, such as the complimentary decanter of sherry (topped up daily), and the quality branded toiletries, all add to the overall experience of luxury and indulgence – something you will come to associate with this boutique hotel in Guernsey. Just perfect. From the moment we arrived at the hotel we were made so welcome. Such friendly staff who go overboard to help you. The view from our room was just lovely with a small balcony to sit out and admire the sea view. The room had complimentary sherry which was a super touch. It was lovely to have bath robes and slippers provided. Fantastic wardrobes! The food in both restaurants was incredible. My partner said it was the best steak he had ever eaten! Again the staff were so attentive. The hotel has wonderful outside space with comfortable sofas and chairs and even a delightful cinema which we had all to ourselves. This has to be the most friendliest hotel we have stayed in and couldn’t fault it. Can’t wait to return. Really first class! All my preferences were remembered from previous stays. I had a really comfortable night in a Gold room on the front of the hotel. 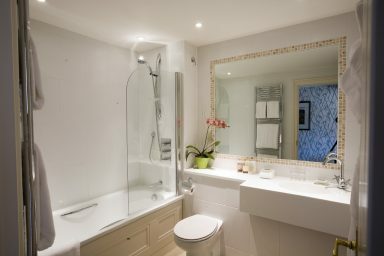 A lovely bathroom, with a superb walk-in shower made things absolutely perfect. I enjoyed a glass of (complimentary) sherry in the room, as usual. Housekeeping remains impeccable. Once again, the courtesy car service was invaluable. As usual, I was really sorry to leave! I am returning for another overnight stay in six weeks, and I shall keep returning. This is one of my two favourite hotels of all time.